If I haven’t said it before, never in my life did I imagine New York City to be on the map of “places I’ve lived”, but it indeed happened, and I’ve been making the most out of it since my husband and I moved here unexpectedly over a year ago! Although the city can be very busy, loud, and quite overwhelming for me at times, I have been trying to embrace this change by using my camera (or I should say more recently my phone camera) as much as I can to capture the things that make it so great. While there are those iconic shots that first come to mind like the Statue of Liberty, Times Square, or even one of my favorites, the expansive skyline as seen from the DUMBO waterfront; I have found that what has captivated me most in the short time I’ve called myself a New York transplant, is the simple moments of beauty that stand out in the hustle and bustle of my daily life. Whether it be on a quick walk to the Union Square Greenmarket during my lunch break, from my ride home on the Q train, or on my evening walk with the pup; I have been challenging myself to step out of my day-to-day routine to capture moments that inspire me and that I otherwise take for granted. Chinatown at sunset as seen passing by from the Q Train. Baby heirloom tomatoes from Cortelyou Greenmarket in Brooklyn. This girl walked by me on 3rd Avenue while on my way to work one morning. I really loved her style. Cotton candy skies from an evening walk with the pup in our Brooklyn neighborhood. 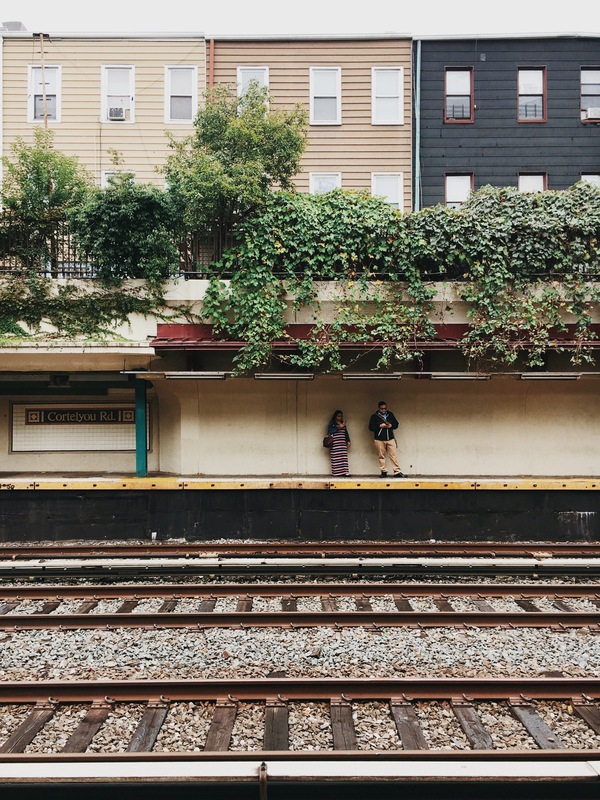 #Strangersinmyfeed while waiting for the train at Cortelyou Rd. From hot dogs, parks, and ice cream to beaches, bubbles, and sunsets; New York City in the summer time is no doubt one of the most entertaining places to be. Even if you don’t live here and are only visiting for some time, you can bet that there’s always something to look forward to at any point during the week (rain or shine)! To keep up-to-date on current events going on, I always make sure to pick up the latest issue of New York’s TimeOut weekly magazine (you must definitely give it a look too if you haven’t yet). Since moving here over a year ago, this was the first summer that Scott and I were able to enjoy in the city from start to finish, and I must say that it was jam-packed with mostly outdoor activities…so much that I forgot to apply sunscreen one day and got a terrible sunburn! But I’ll save that story for another day. 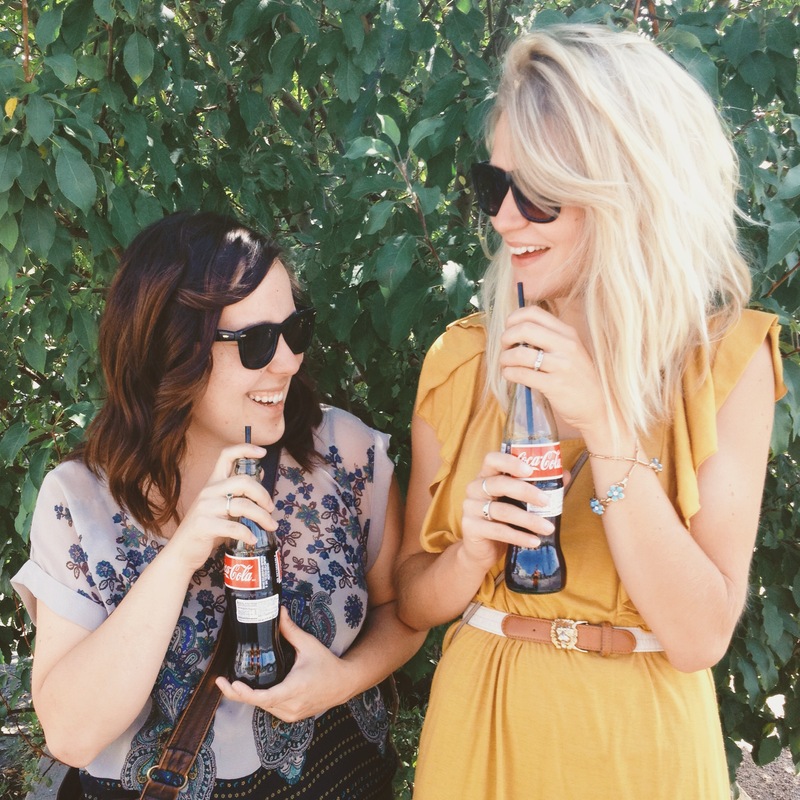 Instead, I’m just going to share with you a round-up of some of our favorite places, eats, and things to see from this past summer. Now that it’s the first day of fall (woohoo! ), I can only imagine and cannot wait to see what this next season in the city will bring. What are you looking forward to most about this fall? I’ve Moved to New York City! Hello all! It’s been quite some time since I’ve been able to actually sit down and write a post on here, but there is good reason for this! A couple of months ago, my fiancé Scott got word that he would have the opportunity to receive a job promotion within his company, but this promotion would also require him to transfer to their Manhattan office. Well, long story short, the offer went through and we have officially been living here (Brooklyn to be exact) for almost two weeks now! I can honestly say that we never even imagined living in this part of the country before, but I do believe everything happens for a reason. I’ve been able to explore some more of the city throughout this past week with my littlest brother who has been visiting us since we moved, and have found that I am loving this area more than I anticipated! My camera roll already has at least 500 more pictures on it. Please know though that moving here wasn’t an absolute breeze. 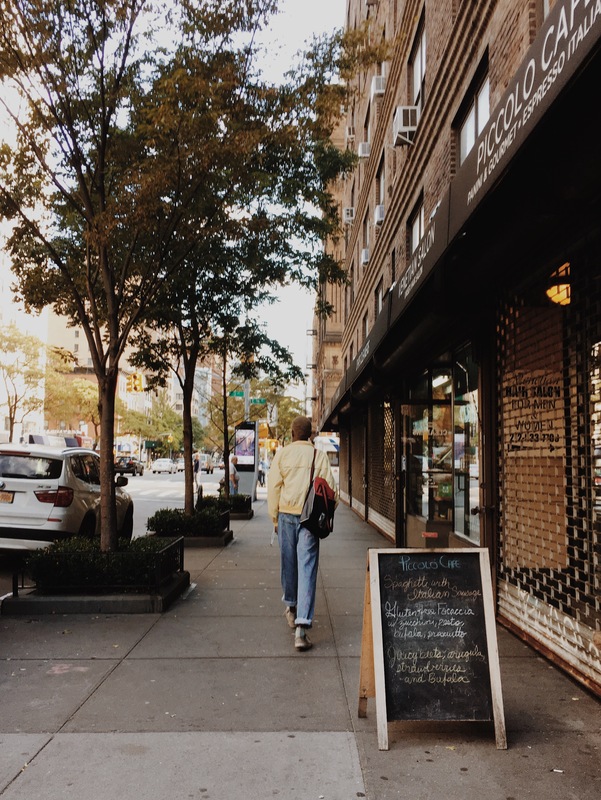 There were some ups and downs that we experienced before settling in to our Brooklyn apartment, and a large hunk of it was trying to downsize all of our things within our previous two bedroom apartment to a smaller one bedroom on short notice. Thankfully, Kate was able to give us some great advice and quick tips that she learned from downsizing her entire home before moving with her husband to Italy! Another part to our move that proved to be quite stressful was the search to find our apartment while living in another state. We quickly learned how fast the market comes and goes out here and at one point, almost made the decision for me to stay in Virginia with my family while Scott would rent through AirBnB until we could find something! 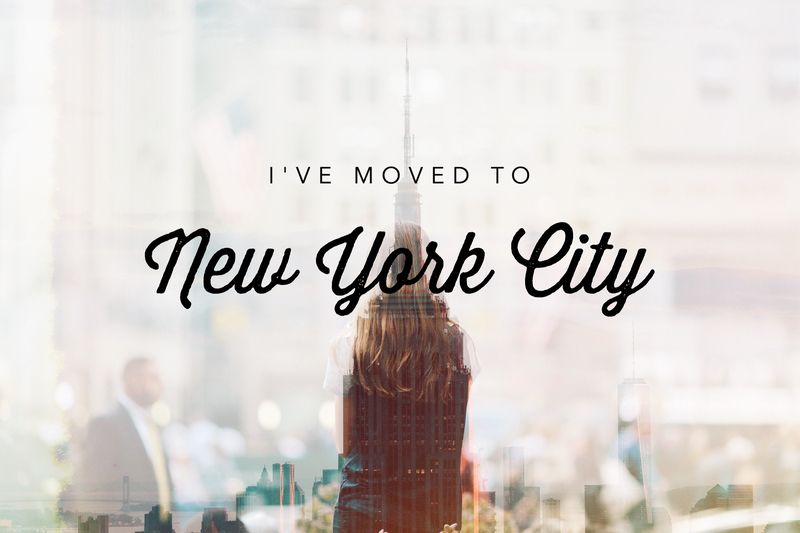 Thankfully this wasn’t the case, but I have gathered quite a bit of useful information for those who also plan on moving to NYC from another state and will be sharing more details on this in another blog post soon! 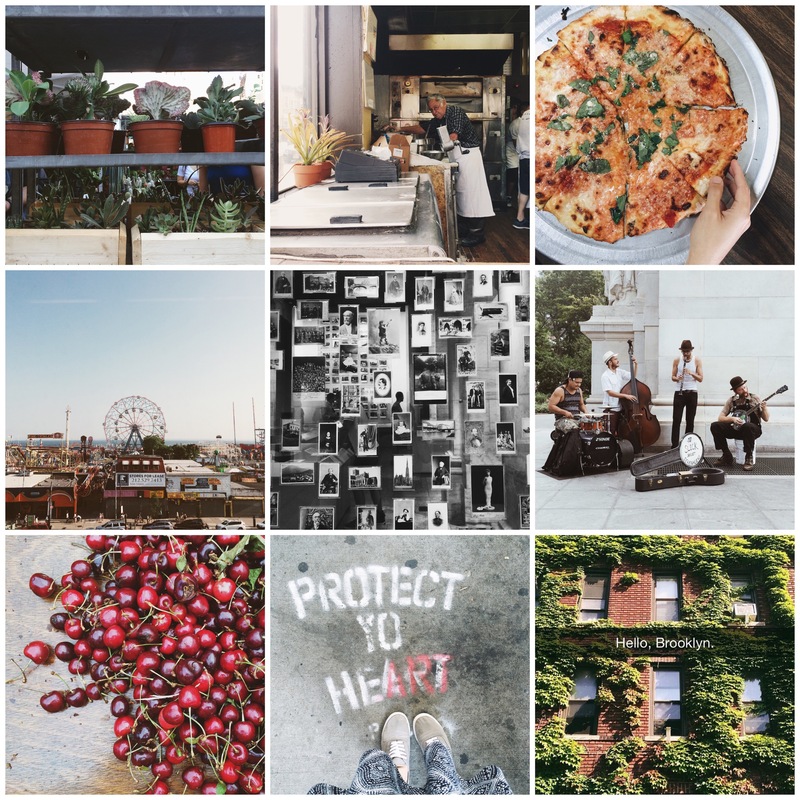 Until then, here is a quick round up (pictured above) of my most recent Instagram posts featuring some of the places and things I have experienced so far while living in this amazing city!